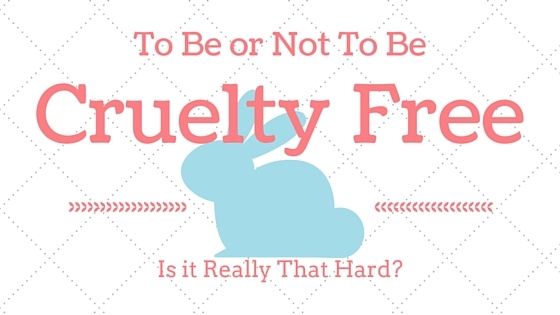 Not too long ago the terms ‘cruelty free’ and ‘luxury makeup products’ were not synonymous. “Cruelty free” equaled hippies in tie dye with homemade, hand-mixed mineral foundations and berry stained lips. And while personally I am very fond of my tie dyed makeup maker sisters, the truth is that those products were just not that suitable for professional use. Sure, for everyday use, natural mineral makeup is a great option but it just didn’t stand up to professional use when a client is paying good money to have a product that will last an entire day through tears and sweat. The world is jumping on the bandwagon. Israel, India, Norway, South Korea, all 28 countries in the European Union and even our brothers and sisters in New Zealand have already passed laws that actually BAN the import or sale of any products or ingredients that have been tested on live animals. Australia isn’t there just yet. An Ethical Cosmetics Bill was introduced earlier this year but it’s still a way off becoming law. And then once it does there will be a grace period of a couple of years to allow companies the opportunity to get on board or get out. Does not test their products on animals. Does not source ingredients from companies that test on animals. Does not belong to a parent company that does not comply with these first 3 points. To be included on any of the cruelty free lists with PETA, Choose Cruelty Free (CCF) or Leaping Bunny a company must comply with all 4 requirements. Pretty high standards. Especially when you consider that Estēe Lauder and L’Oreal (NOT cruelty free) own like every major beauty brand on the planet! But business is business and without the financial backing of these monopolising powerhouses, companies like The Body Shop and Urban Decay would have disappeared years ago. It is for this reason that when I choose brands I stick to the first 3 points and then try to balance the ethics of the individual brand against their parent. For instance The Body Shop has been a fierce defender of animals rights and human rights since before it was cool. They sold to L’Oreal because they needed the money or would of died off, and then what would of happened to all those third world communities that survive because of their fair trade agreements with them? If you’re looking for a comprehensive list of cruelty free brands you can’t go past Suzi from Cruelty Free Kitty. I love her and her unbiased dedication to the issue. PETA, CCF and Leaping bunny require brands to undergo strict evaluation but they also charge a premium to use their logo so not every cruelty free brand is on their lists. Suzi on the other hand does her own research for each brand and contacts them directly to get the information straight from the horses mouth. I highly recommend you read her blogs especially her constantly updated Cruelty Free List 2016 and this insightful little piece called Leaping Bunny V PETA: Who to Trust? Honestly I could link to her all day. She really is fab! It is entirely up to you to decide what feels right when buying products but if you are committed to the cause or even just interested in making more informed buying choices, then there has never been an easier time. BECCA Cosmetics – All things Highlighty & Glowy!